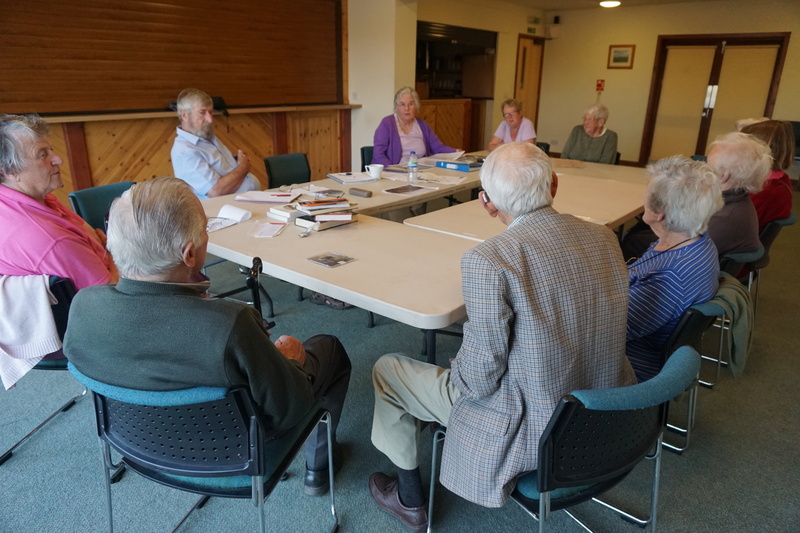 We attended a meeting of the Langtree History Group today to tell them about the project and show the film that they had helped to research. Members were fascinated to hear about how their local lads joined the Royal Devon Yeomanry, riding their horses to Barnstaple and eventually going on to Palestine. A century ago most local people wouldn’t have gone more than a few miles from the village during their lifetime. Nevertheless they must have felt they knew Palestine already from the Bible stories they heard every week in church or Sunday School. On 30 November representatives from our project partners and the actors from the Plough Arts Centre theatre juniors attended a private screening of the Holy Lands film at the Museum of Barnstaple and North Devon. 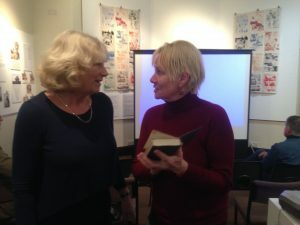 The exhibition and film received a great reception, especially from the parents, who said that the children and their families had learnt a great deal and felt a personal connection to the local soldiers’ stories. During the event Joy Cann (museum researcher) was very excited to present Marilyn Tolly (Sgt. Crocker’s granddaughter) with her great uncle’s inscribed bible which had been discovered in the same church where the brothers had prayed before leaving for the war. The Museum of Barnstaple and North Devon now looks forward to presenting the film in the Langtree community centre at a public screening hosted by Langtree Local History Group. 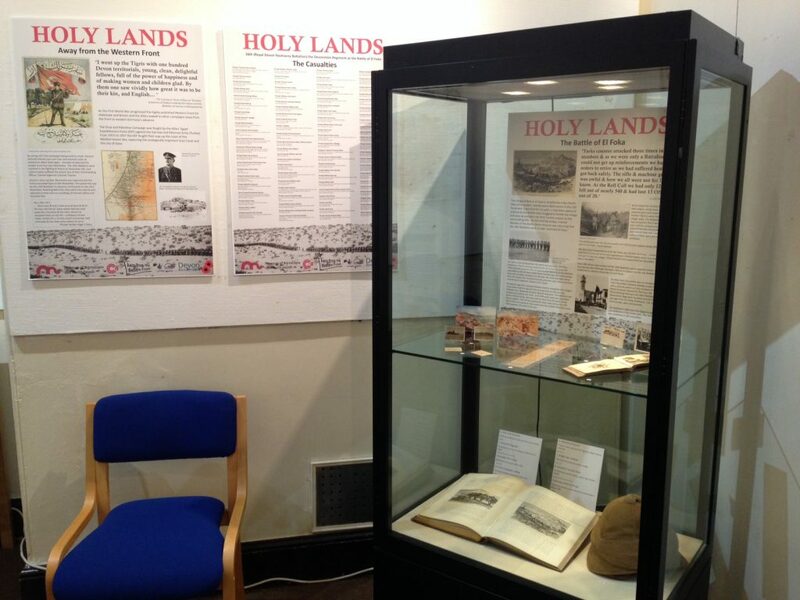 We have three more images from the the ‘Holy Lands’ exhibition in North Devon Museum, which forms part of the First World War Gallery and tells the story of the local men who served in the 16th Battalion of the Devonshire Regiment in Egypt and Palestine (click to enlarge). 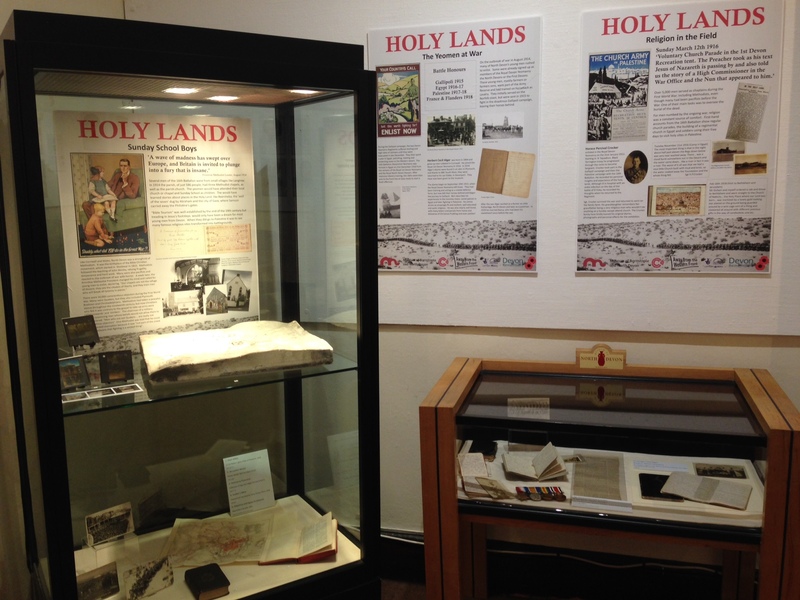 As part of the ‘Holy Lands’ project, the Museum of Barnstaple and North Devon has set up an exhibition. The three images below are some of the hidden gems that have been uncovered as part of the research for this (click to enlarge). 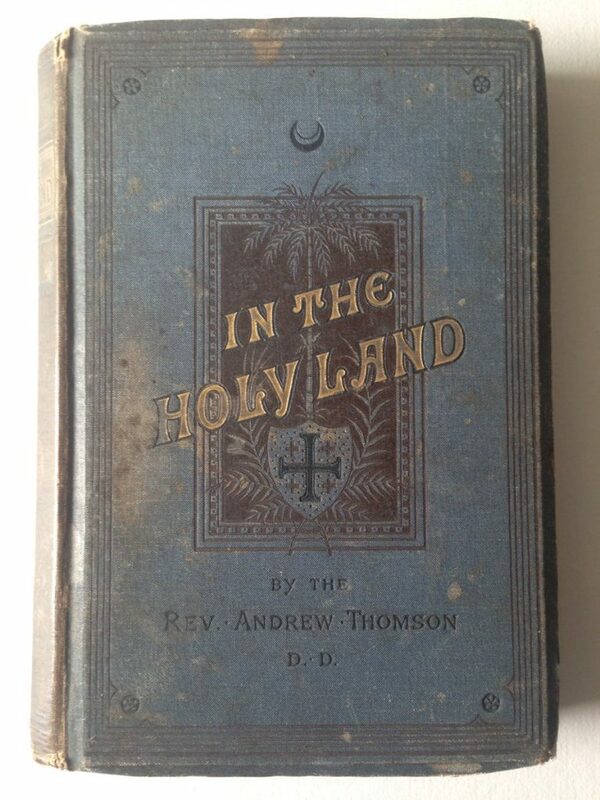 There have also been completely new discoveries, such as the hymn book belonging to Sergeant Crocker’s brother, in the very place in the church at Langtree where he left it to go and fight in the war. He never returned. 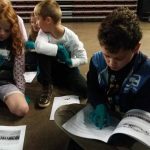 As the project in North Devon reaches its last stages, leading to a private view on 30 November, we’ve heard about one exciting aspect of the work with the young people at the Plough Arts Centre. Through local contacts, a link was set up with the ‘Hebron International Resources Network’, a Palestinian resource centre providing support to different projects, including children. 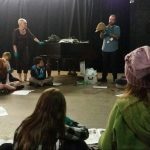 The centre arranged for two of their children come in to talk to the Plough Youth Theatre Juniors via Skype, discussing the history of their country and answering questions about what life is like in modern day Palestine. We look forward to seeing how this is used in the Plough project. 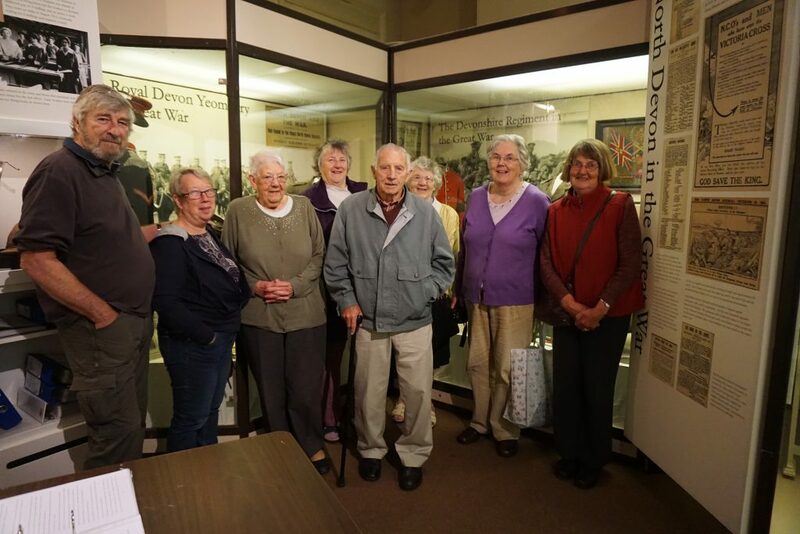 A century after their predecessors fought in the Battles of Beersheba and the Third Battle of Gaza, a group of soldiers from the Royal Wessex Yeomanry attended a talk at the Museum of Barnstaple and North Devon about these critical actions which led to the capture of Jerusalem the following month. 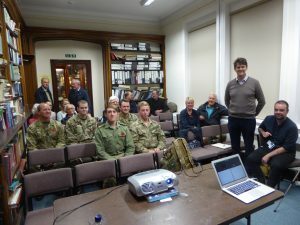 The speaker was Gareth Davies, specialist in the Palestine Campaign and a reservist soldier himself, currently working with the Army’s Op REFLECT programme. He also leads battlefield tours and was about to travel to Palestine to lead a group around the areas where these actions took place. The researchers who have been supporting our project also attended. 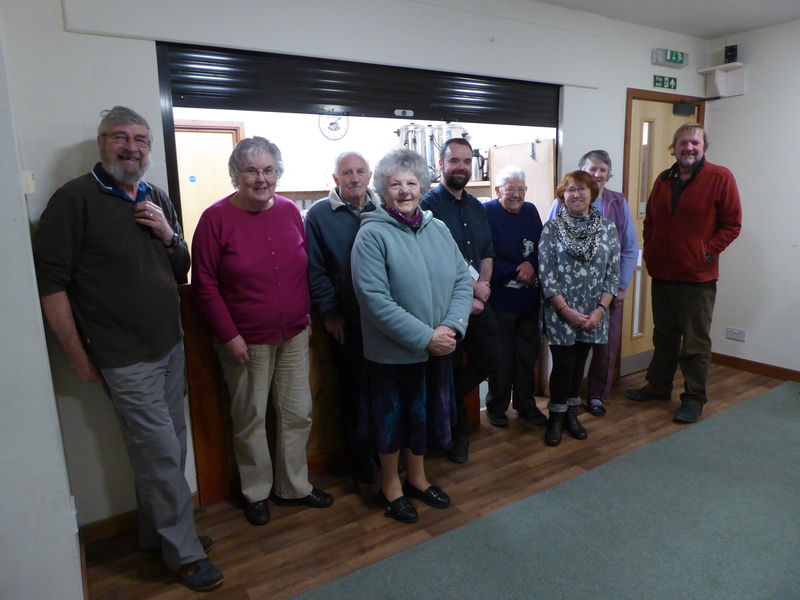 Recently, Learning Officer Adam Murray and researcher Joy Cann visited our project partners The Plough Arts Centre to speak about our Holy Lands project. 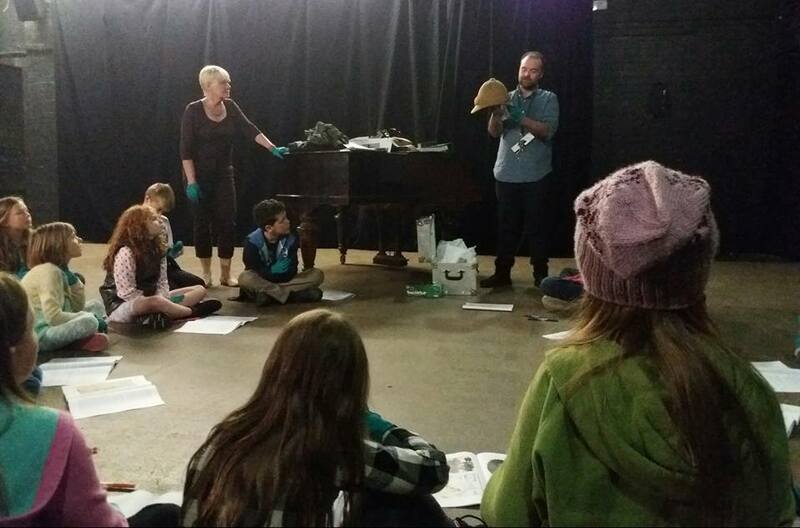 During the next few months the youth theatre group will be writing and producing a performance based on the potential emotional conflict the soldiers might have felt coming from religious backgrounds. 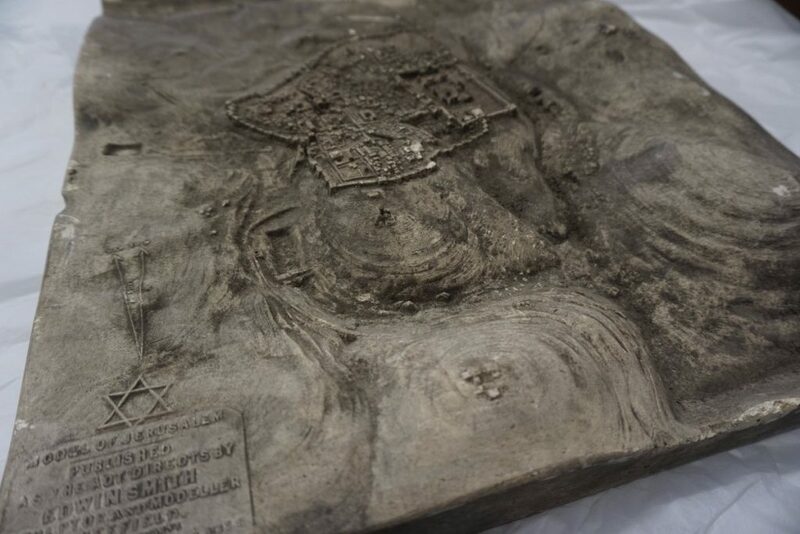 As part of the presentation the group handled Devonshire Regiment objects, discussed their initial performance ideas and planned their questions for a future online exchange with a group in Palestine. 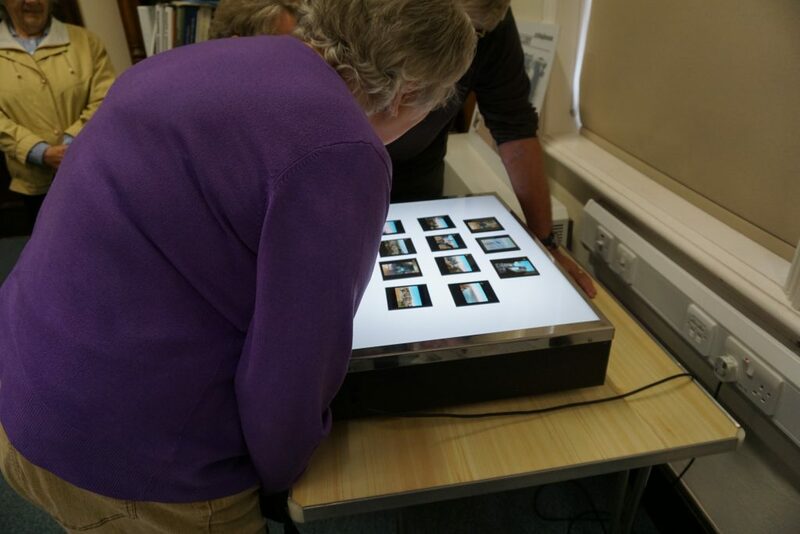 The Museum of Barnstaple and North Devon together with the Langtree History group chair, Margaret Knapman, visited the Beaford Archive. 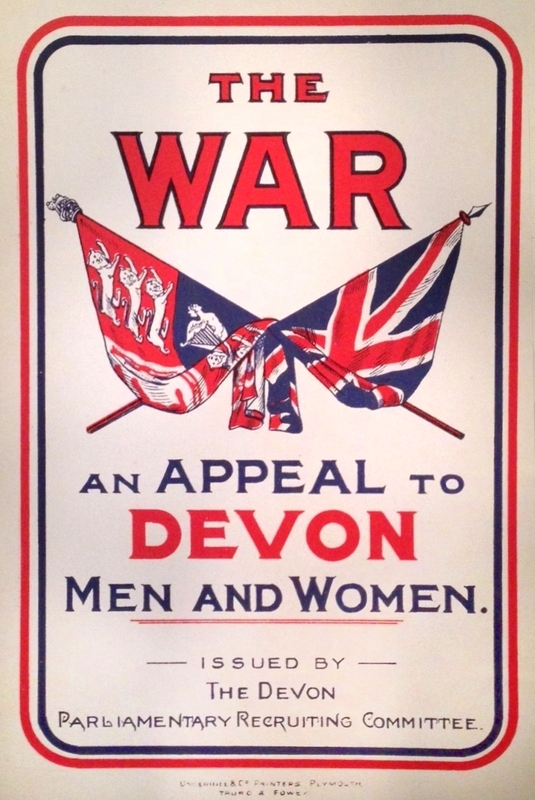 Using the ‘Old Archive’ we researched and collected images of the villages the Devonshire Regiment soldiers were from to get a real sense of their community and religious backgrounds before they left for war. Our filmmaker Jess Pearson interviewed and documented our research; she will be following our progression and producing the final ‘Holy Lands’ film. 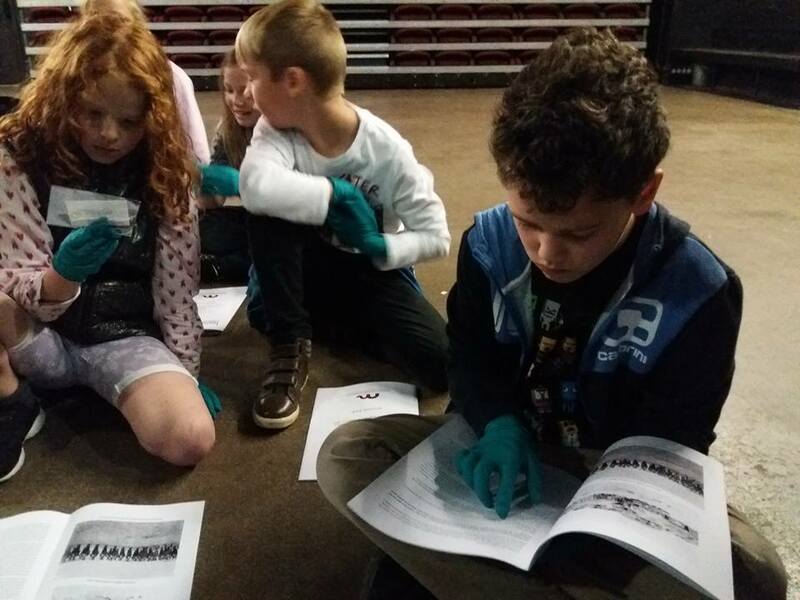 We’ve been visiting local villages to trace family histories. To help with this, we’re using a banner to illustrate the project. Click here to see what it looks like. 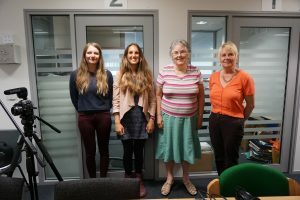 We have been getting on with the research into the local soldiers who went to Palestine and as part of this process we have set up a working relationship with the Langtree local history group. We gave a talk in the Parish Hall about the 16th Battalion Devonshire Regiment and their part in the Battle of Jerusalem. The group recently visited the museum to share their research so far and to view our World War One gallery and Royal Devon Yeomanry collections. 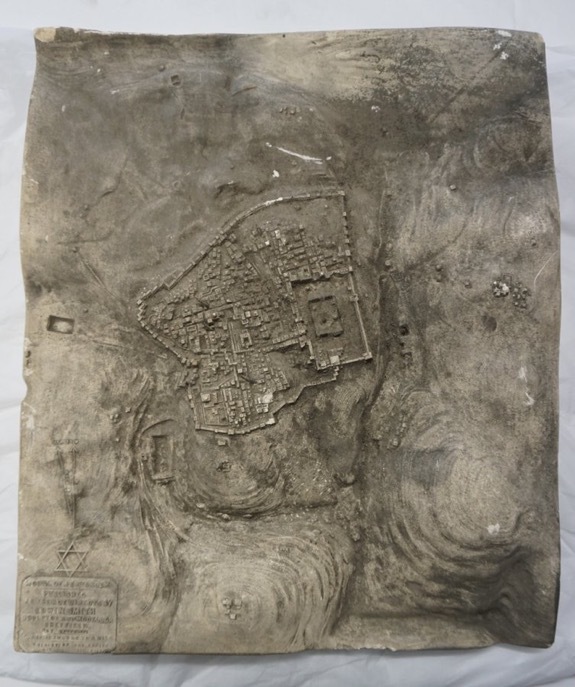 To inspire further research, the group took part in an object handling session including items brought back from Palestine by the Regiment.